How do birds find worms? Browse the playlist for answers to more science questions or to find out how to make Martian jelly, a lava lamp and other experiments to try at home. If you want to try these experiments at home, ask an adult to help. Amazing photographs and illustrations and clear informative text reveal a world full of wonders more astounding than science fiction. 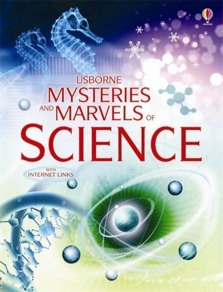 With internet links to help readers to delve deeper into the secrets of science. Shortlisted for the Aventis Prize for Junior Science Books 2005. Contains "bite sized" scientific facts that are just enough to whet a child's appetite and curiosity without overloading them with information. When you couple this book with the internet links which often lead to some cool experiments requiring no specialist equipment and items which most parents will have readily available, actually makes this a very useful book that positively encourages questions and further investigation. A springboard to more thorough investigation and study of science.